Autumn Classes have begun and some new ones planned! Oh it is such fun starting up new classes. The Beyond Beginners class started, almost 2 weeks ago – a new student among some of the previous ones. What fun it is as well. BUT FIRST = let me tell you about two classes I am planning with people already scheduled to attend. 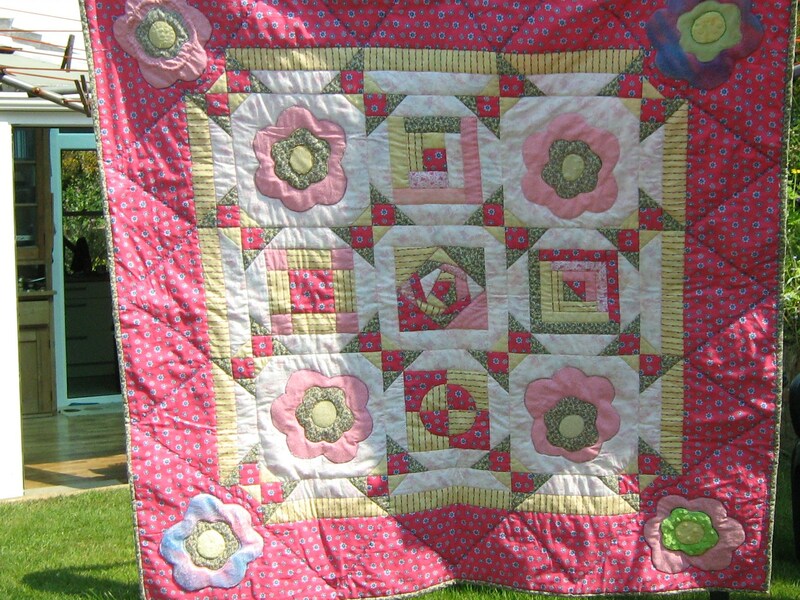 Take a pre-cut – charm squares, layer cake or jelly roll and make a quilt – see the description under workshops! Learn applique while making a jolly Christmas wall hanging to help decorate your home! Or chose another pattern – no Christmas involved. See description under workshops. Back to my Beyond Beginners Class. The quilt they make is quite a challenge. I just love the fabrics they have chosen. In Lesson 1 we spend much of the time, identifying which fabric will fit where. There are five blocks which are pieced normally or by foundation piecing as well as at least 4 applique blocks (created in four different ways). However, within each of these blocks the student has to make a secondary pattern, which when the quilt is assembled, forms an important part of the quilt design. This secondary pattern has to be made from the same pieced construction for each of the blocks. The problem lies in that the students are not experienced enough at first to understand the structure of the quilt – so much explanation and looking at a already made quilt, needs to happen, before they decide which fabric, they have already chosen for the quilt, will to where. I start a Beginner class on the 14th October and have a nice group of students for that. Still room for more! Can’t wait. Today in the Intermediate class, they all did applique. They are a talented lot these students. I challenged them to not only create a pattern, but also to applique, in the manner they wished too – BUT also using wonderful threads, and their sewing machine, decorate the applique with stitches and improve the design. Jill is making a super whale in navy blue and white and used silver thread to create motion on the whale itself; Sarah had challenged herself to applique an elephant and I further challenged her to make it brighter and colourful than when she started out; Heather has the colourways in her quilt of Clarice Cliff – so is making an applique Clarice Cliff plate and Viv is doing a Baltimore Applique by machine and have a centre word applique around which the applique is designed. Such talent.